Have you ever dreamt of creating marvelous artworks, but considered yourself not ready? Or maybe you are already trying to paint but struggle without expert advice? 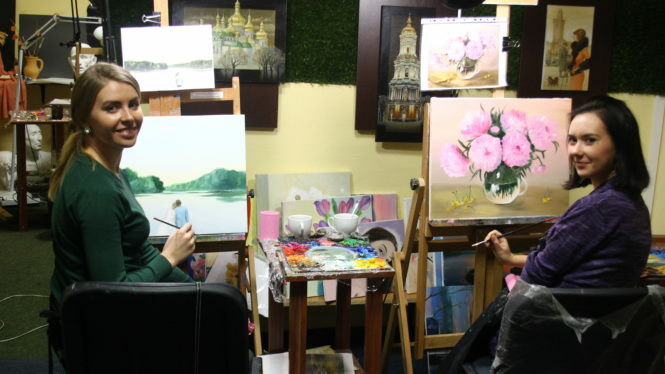 Art classes for adults in Artacademy-USA are your opportunity to learn painting in different techniques and styles while keeping up with the busy schedule of your everyday life. Although many newbies are fearful of oil, it is one of the most friendly materials to deal with, as it enables you to embody the widest range of objects, from landscapes to portraits, from realistic still lifes to the most fantastic scenes. Acrylic retains most of the oil’s admirable properties while being much faster to work with, and with watercolor, you are able to create both quick expressive pieces and detailed, sophisticated artworks. Regardless of your tastes, preferred style and artistic vision you will find something suitable for you. Who can participate in adult art classes? Art classes for adults in Artacademy-USA are suitable both for the beginners willing to give the painting a try and for the seasoned artists looking for the fresh insight or an outside perspective on their work. What is the structure of art classes for adutls? First of all, you choose the technique you are willing to work in. Then you pick the artwork you like from the catalog, and under the careful tutelage of our professional artists, you are honing your skills, moving through copying to creating something of your own. Our teachers pay attention to every student, and regardless of your aims and existing skills, adult classes in Artacademy-USA will help you to advance in your mastery. Art classes in NYC area - where exactly? Our studio has a location in Manhattan, to be precise - 233 Park Ave S, New York, NY 10003. Here you can be sure to find the best art classes in NY with professional artists.We have a studio space in an office center. In order to find us please look at the plates at the front entrance of the building.